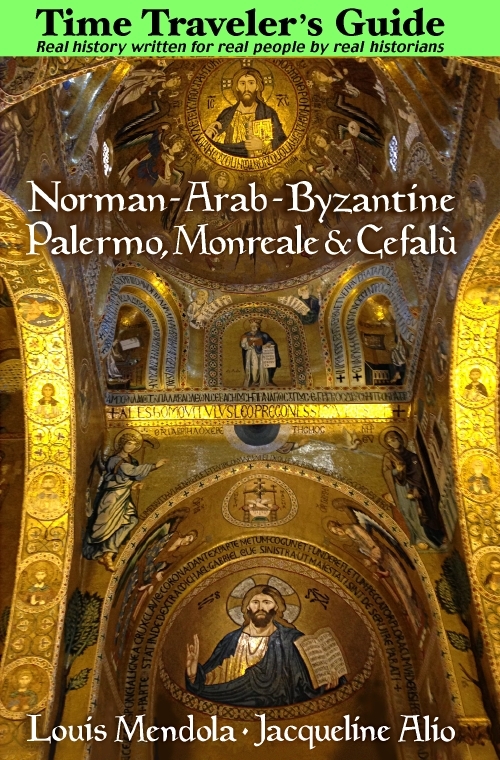 Palermo History - See Palermo and Western Sicily. At first glance Palermo seems overwhelmingly Baroque, but in many respects the history of this city is a reflection of the long, complex history of Sicily, and the Baroque is just the tail end of it. To many who visit, Palermo gives the impression an unpolished gem, an uncut diamond "in the rough." In truth, it is much more than that, transcending the atmosphere that greets you when you arrive. The Paleo-Christian era left several early churches in the city. Its earliest faith was Orthodoxy. Following a brief Gothic occupation and occasional Vandal raids, Panormus was part of the Eastern Roman (Byzantine) Empire from 535 until 831, when it fell to the invading Saracen Arabs ("Moors"), who turned many of the churches into mosques. Thus began the reign of the Aghlabid dynasty of what is now Tunisia. From 948, as Bal'harm, it was the capital of the Emirate of Sicily of the Kalbite dynasty, and it is from that date that Palermo may be considered to have been the royal capital of Sicily. From the eleventh century onward, the history of Palermo is largely the history of Sicily. Despite brief periods of competition from Messina and then Catania, it was the seat of the island's government. By the nineteenth century, Palermo had become the place of residence of most of western Sicily's nobility. Its splendid palazzi are their legacy. If Milan seems to ignore the rest of Italy, if Rome presumes to be the national capital, Palermo exists in a realm neither could ever hope to occupy. Its ancient and medieval historical district is larger than that of any other Italian city except Rome and maybe Naples. Southern Italy's entire historical legacy exists along a kilometer of Corso Calatafimi --a Phoenician-Carthaginian cemetery, Roman houses (in Piazza Vittoria), Norman palaces (the Cuba and Norman Palace) and Baroque churches. Perhaps no other street in Europe boasts a heritage so ancient and so varied. There's no other Italian city quite like it. Palermo is an urban paradox. Life in this unique city can be challenging, though most Palermitans seem to have adapted well. Water is rationed; it is provided for a few hours every day or two, just long enough to fill up the tanks in residents' homes. Air quality leaves something to be desired; in 2000 Via Roma registered the highest level of pollutants of any main street in a large Italian city. Traffic often comes to a complete halt for hours; Via Regione Siciliana, the city's main highway, is infamous for this, especially near the poorly-designed interchange at Via Da Vinci (and McDonalds and the Holiday Inn). Protests often block central streets; these "mini-revolutions" are invariably over by lunchtime. Despite such inconveniences, Palermo remains a jewel of the Mediterranean. No visit to Sicily is ever complete without a visit to Palermo, a city that permits one not just to know this island but to begin to understand it.